In stock! Only 277 left! 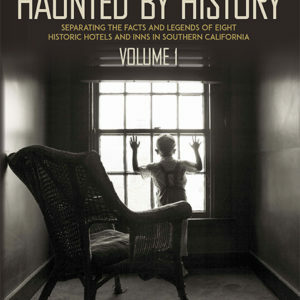 Exclusively sold on Bizarrela.com! Not found on Amazon or in stores. 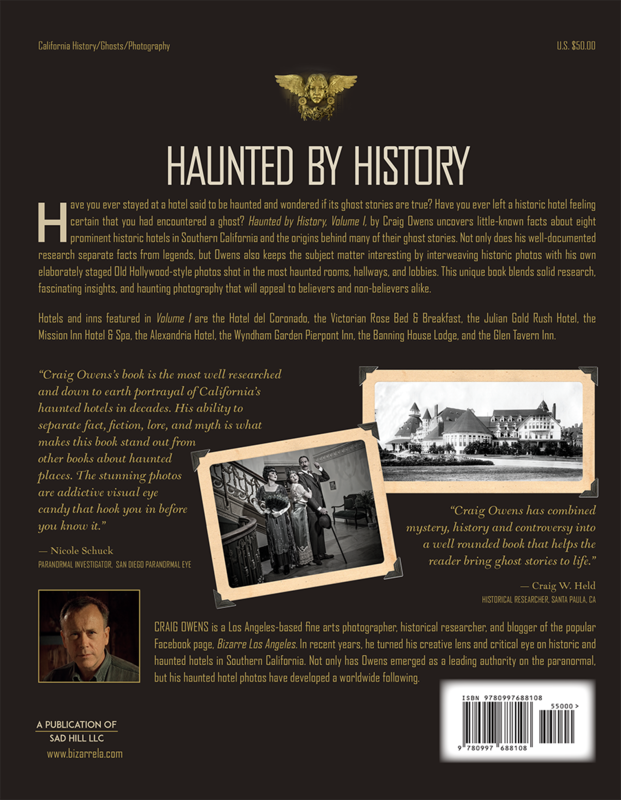 Each book will be signed by author if requested. 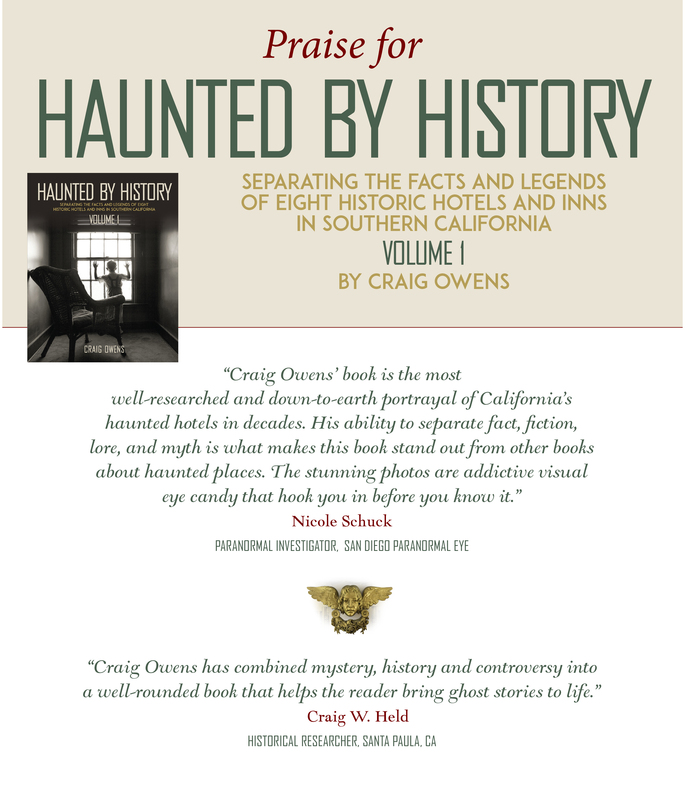 Haunted by History, Volume I, by Craig Owens uncovers little known facts about eight prominent historic hotels in Southern California and the origins behind many of their ghost stories. 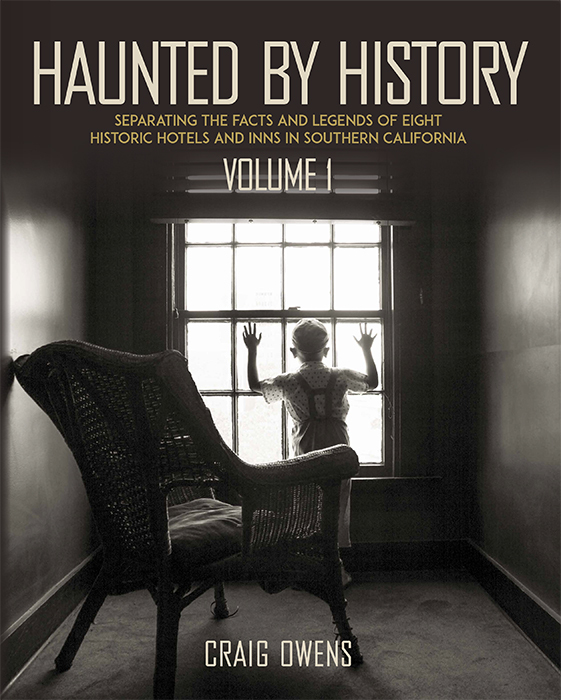 Not only does his well-documented research separate facts from fiction, but Owens also keeps the subject matter interesting by interweaving historic photos with his own elaborately staged Old Hollywood-style photos shot in the most haunted rooms, hallways, and lobbies. This unique book blends solid research, fascinating insights, and haunting photography that will appeal to believers and non-believers alike.